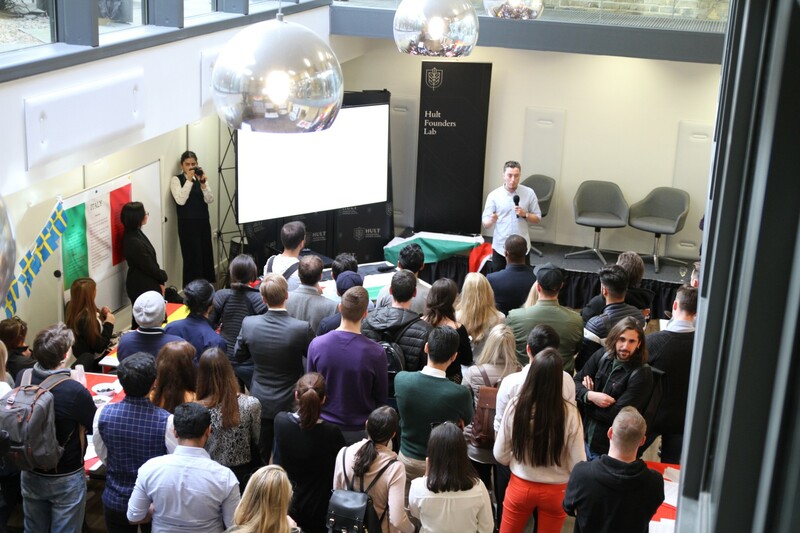 Following our progress and successes from last year, we expanded the Hult Founders Lab to the London campus this year; effectively offering the student startup incubation system to both undergraduates and postgraduates*. Dhiraj Mukherjee, Co-Founder of Shazam and former Head of Innovation for Virgin Money. Andy Jeffries, Co-Founder and Director of Dock & Bay, who managed to secure £75,000 from Dragon Investor Deborah Meaden in the UK’s hit show Dragon’s Den. Professor David James, CEO of i-Incubate, anchor professor for the HFL programme in our London Postgraduate campus and expert marketer. The panel session discussed the future of entrepreneurship in the UK and what the entrepreneurial mind-set means to them. You can read our recap of the panel here. We were also present at Hult’s entrepreneurship week panel which featured Y Combinator, Zipcar, Founders Factory, amongst others. You can read more about it here. 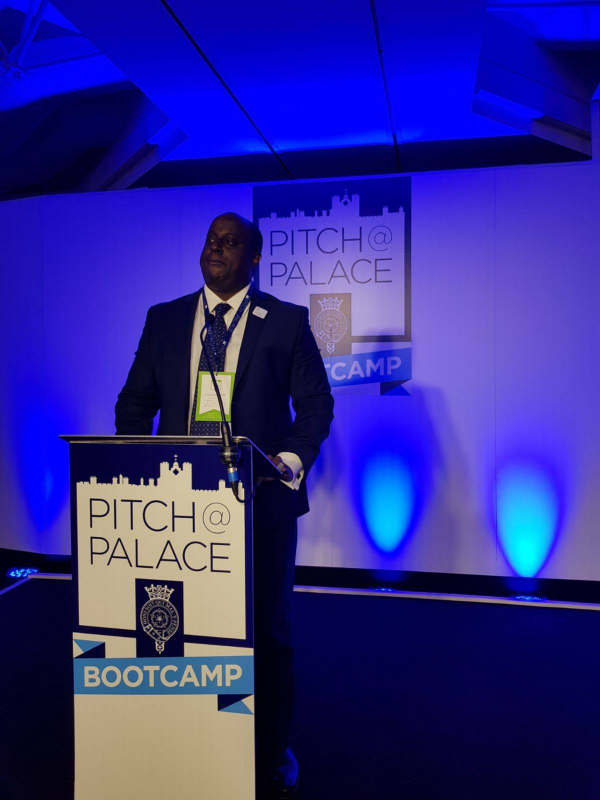 Professor Daniel Rukare, anchor for the Hult Founders Lab, representing at the Pitch@Palace Bootcamp in Ashridge. 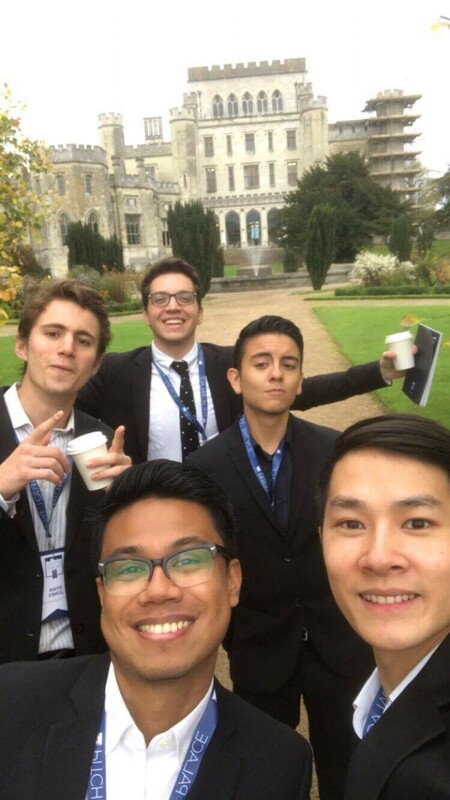 The Hult Founders Lab was also represented at the Pitch@Palace bootcamp held on our very own Ashridge Estate campus as well as the Hello Tomorrow Summit in Paris, France. Hult International Business School was delighted to host Pitch@Palace 8.0 Boot Camp and His Royal Highness The Duke of York, KG on Tuesday 10th October, 2017 at Hult’s historic Ashridge campus in Hertfordshire, U.K.
At this year’s event, 42 entrepreneurs have been selected to attend the Boot Camp. The Duke of York founded Pitch@Palace in 2014 to support entrepreneurs with the amplification and acceleration of their business ideas by connecting them with potential supporters including CEOs, angels, mentors, and key business partners. Representing the Hult Founders Lab at Pitch@Palace Bootcamp in Ashridge. 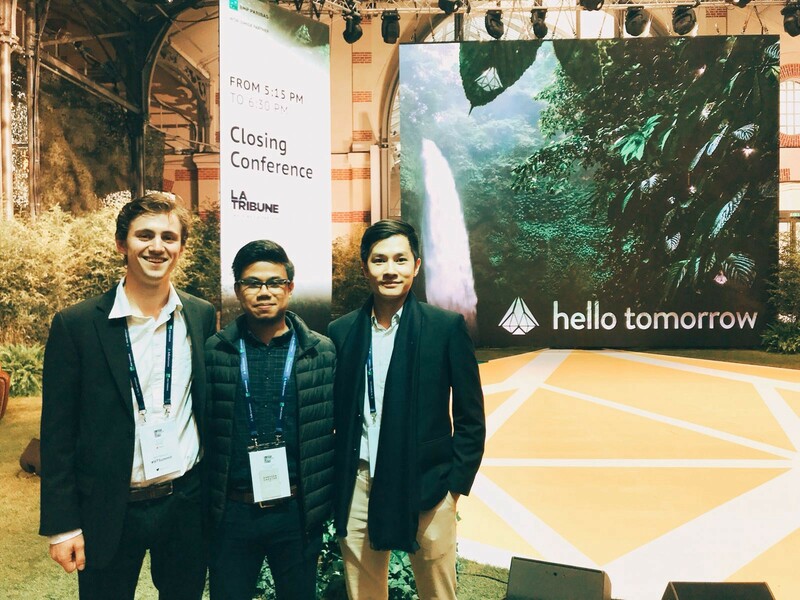 Our board members representing the programme at the Hello Tomorrow Summit in Paris, France. 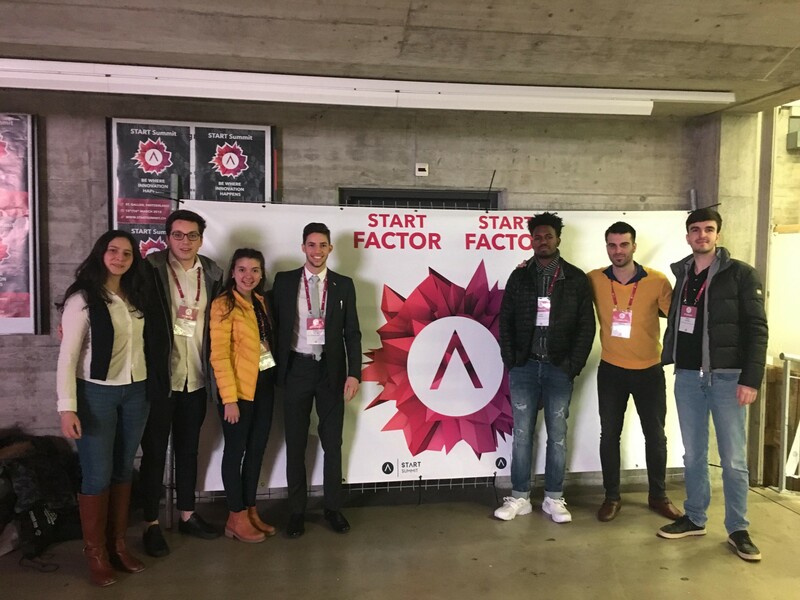 We further went on to send a delegation of our startups from both the undergraduate and postgraduate programmes to the renowned START Summit in St. Gallen, Switzerland. The START Summit is an international entrepreneurship summit that takes place in St. Gallen every year, bringing together entrepreneurs, VCs, investors, and speakers from all over the world for a couple of days of intense networking, pitching, and brainstorming. It is the leading student-run entrepreneurship conference in Europe and brings together over 2000 participants to foster innovation and entrepreneurship. Hult Founders Lab delegation led by student board member Taylor Zdruli (second from left) at the START Summit in St. Gallen, Switzerland. Several Hult students were able to take part in the 2018 summit and greatly enjoyed their experiences. Two of our entrepreneurs, Adriano and Monica Fantino, a brother and sister pair out to start their own company, were part of the Hult delegation. 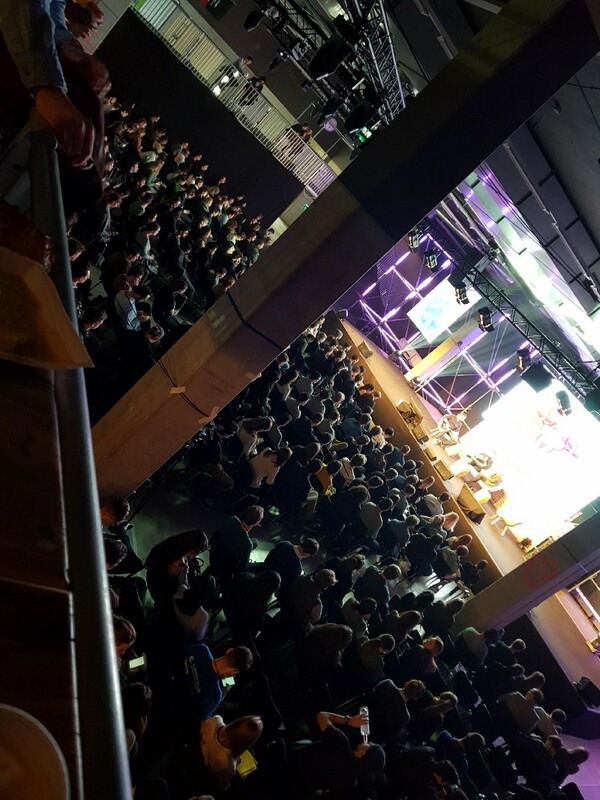 Snippet of the panelist sessions at START Summit 2018 in St. Gallen, Switzerland. I was highly impacted by the numerous real opportunities offered during the event to connect with the right people and to got to share my business idea with them. Thanks to the application available during the entire event, I had the opportunity to book a private slot speaking session with a few of investors and was able to receive their trustworthy feedback about my business idea. You can read their full interview here. We also hosted a few entrepreneurs and startups like Danielle McDonald (Clarity Architect), EarlyMetrics, and PitchBook. Such events provided our entrepreneurs with diverse perspectives on the startup scene, locally and globally, in touch with various topics such as startup valuations and brand design. We also conducted our very own version of the silicon roundabout tour in London with pitstops at one of the world’s fastest growing co-working spaces, WeWork. 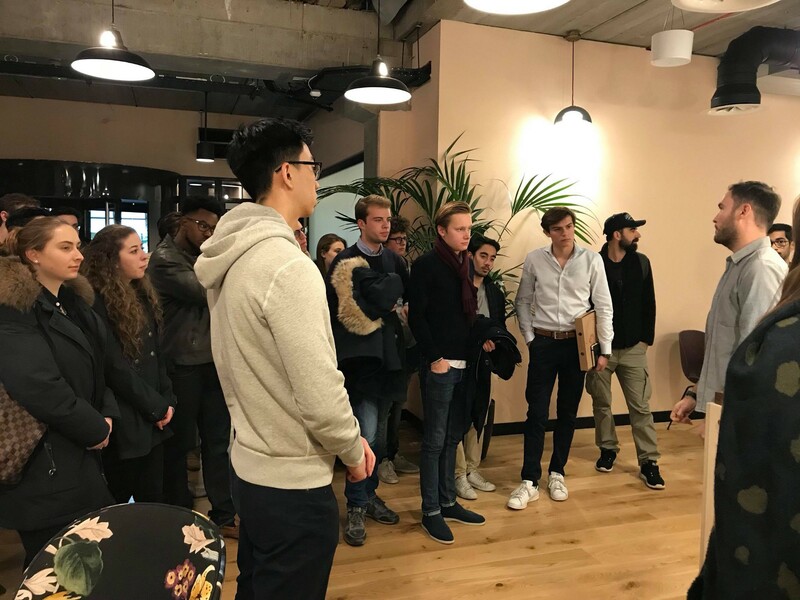 Our undergraduate entrepreneurs getting a tour of the WeWork co-working offices in London. To inspire our entrepreneurs, we partnered with Europe’s fastest growing digital bank, Revolut, which recently reached unicorn status with a valuation of $1.7 billion. Our partnership allowed Revolut to provide free debit cards to all Hult students at the event and paves way for a mutual and beneficial expansion through our Hult global campus network. 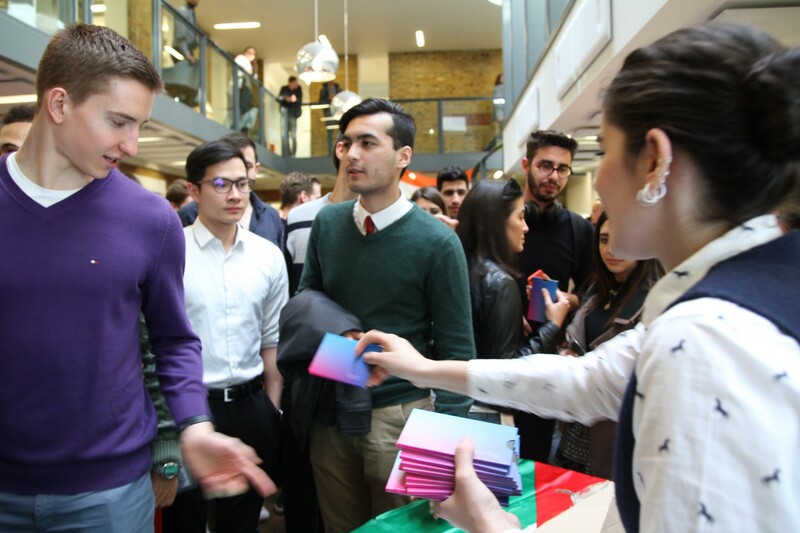 Revolut debit card giveaway to all attendees by London Campus Lead, Alik Jebejian. We also hosted an Entrepreneurship Client Hackathon presented by Dhiraj Mukherjee (Co-founder of Shazam) and Anthony Daley (Founder of STORRS). In this quick client challenge lasting under 2 weeks, participants were asked to draw up a go-to market plan and an implementation timeline for an upcoming global fashion brand with access to over 1,500 patented fabric designs. 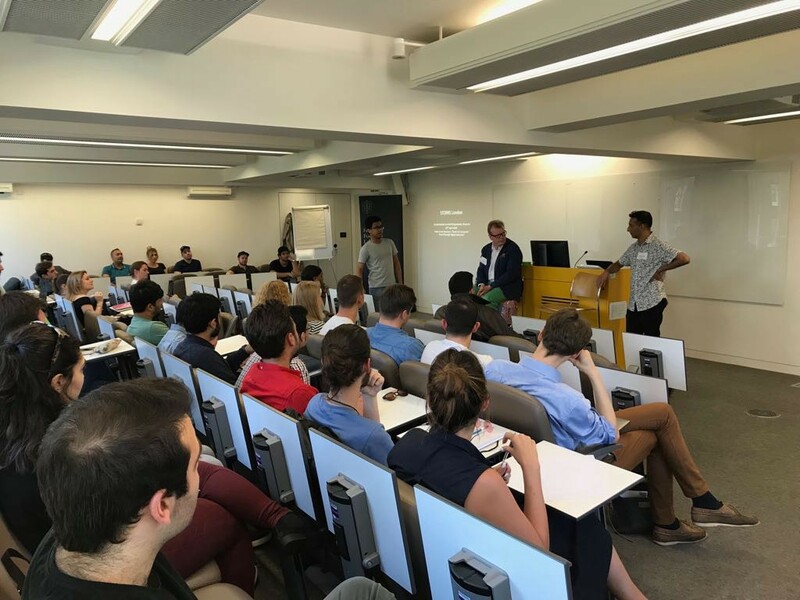 Anthony (founder, STORRS) and Dhiraj (co-founder, Shazam) briefing the startup hackathon challenge to participants at the Hult London postgraduate campus. One of the participating teams presenting their go-to market strategy and implementation timeline to the hackathon client, Anthony Daley of STORRS. I thought that the student’s presentations were great and they really brought a lot of new ideas and suggestions to the table. Between all of the presentations they seemed to have everything covered and so they all contributed in their own way to the outcome. They also made me think about a number of things that I had not considered. We have also worked with the Corporate and Alumni Relations team to include our strong base of alumni entrepreneurs for a better network and mentorship opportunities to take ideas to market. 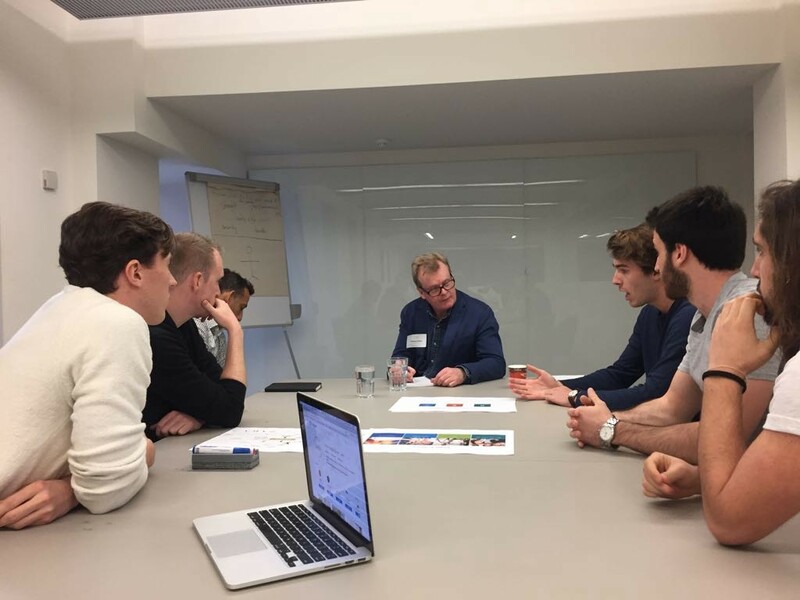 Amongst other notable startups, Clustermarket—formed by postgraduate alumni Johannes Solzbach, Niklas Friedberg and Tobias Wingbergmühle—returned for a speaker session on tips for how current students can manage their academic and startup commitments. Other notable alumni entrepreneurs included founders of 2ClickSolution and Andrea Knopova (founder, ImpromptMe). We’ve connected with our vast alumni network of graduate entrepreneurs and are now working together to solidify plans for an alumni entrepreneur mentorship programme. As we continue to forge ahead, the HFL programme will continue to bring in more professionals from various domains to help add value to our founders’ ventures and to benefit from mutual growth and collaboration. As part of the next stage of our growth, we intend to launch the programme to Boston, USA. The geographic spread of Hult Business School’s campuses helps creates opportunities beyond borders. Our international student and faculty community of over 123 nationalities represented and 88 languages spoken present unprecedented opportunities for launching and scaling businesses which transcend borders to create a more global, inclusive, and encouraging community of enterprising business leaders. If you are looking to partner with us at the Hult Founders Lab, — whether you are an accelerator, incubator, investor, mentor, university entrepreneurship society — we would like to hear from you. Please feel free to reach us at hultfounderslab@hult.edu, and we will respond to you as soon as we can to discuss any opportunities for the upcoming academic year programme schedule.